Learn when is the best time to plant your annuals, perennials, and shrubs. With the onset of the first few days of warm weather, the impulse to get out in the garden and plant can become very strong. However, it is usually best to wait until the weather is warmer to really get started planting. For many novice gardeners knowing when to go ahead and plant can be confusing. To make things more complicated, not everything can be planted at the same time. However, rest assured there are simple rules of thumb that you can use to know when to plant. In order to know when it is best to start planting in spring you should know your average frost-free date. The frost-free date is, as you might guess, the date when it is fairly likely you will no longer get frost. Many plants aren't able to withstand frost so knowing this date is important. Your local independent garden center should be able to give you a pretty good idea of this date. For those of you in the United States, your county extension agent is another good source for this information. To find your local agent, click here. Plants will differ on the best time for planting. Here are some guidelines for which plants can be planted at different times. The ground is considered workable as soon as it is no longer frozen and it is not too wet to work. To determine if the ground is too wet to work, squeeze a handful of dirt in your hand, it should fall apart easily. If it sticks together the ground is too wet to work. Bareroot perennials, as long as they are dormant, can be planted now. Very cold tolerant annuals such as violas, primroses and pansies can be planted, they must be hardened-off in order to survive. Check with the garden center where you buy the plants to find out if they are already hardened-off or if you need to do this yourself. Certain cold crop vegetables can be seeded at this time, notably peas and spinach. Seed onions can also be planted. Dormant shrubs and trees can be planted as well. This is the first time we are using the frost-free date. There are annuals that are perfectly happy to withstand multiple frosts and continue to bloom, such as nemesia, diascia, snapdragons and osteospermum. These are good choices for early spring color. Again, it is important they be hardened-off to survive. Many potted perennials can be planted, make sure they were grown outside or in coldframes so they are acclimated to the cold temperatures of early spring. If the plants were grown outside and are hardy for your area, you should be able to plant them. Bareroot perennials can be planted. Shrubs and trees, either dormant or leafed out, can be planted as long as they were grown outside. Cool season vegetables can be seeded or planted out. Things like lettuce, broccoli, cauliflower, carrots, radishes and seed potatoes (not potato plants which will not tolerate a freeze) can be planted. Again, use your frost-free date as a guideline. While there is no guarantee that you won't still get frost, it is somewhat unlikely to happen. If you are predicted to have frost cover tender plants. Any annual or vegetable can be seeded at this time. Transplant any annual or vegetable plants, including potato plants. Any perennial plants, bareroot or potted, can be planted out at this time. Trees and shrubs, either bareroot or potted, can be planted at this time. Plants that have leafed out can be planted, as well. Perennials that aren't blooming can be dug and divided, for more on dividing perennials click here. Summer blooming, non-hardy bulbs and bulb-like plants can be planted, for instance dahlias, colocasia (elephant ear), and gladiolas. These bulbs are not cold tolerant and will not last the winter outdoors in most areas. Most plants can be planted or transplanted in summer, but they will generally take more attention and care to survive. Due to the hot weather of the summer months, you will need to be sure to provide adequate water and these plants may need to be babied. If at all possible, do NOT dig and divide perennials, especially those in bloom. Heat tolerant annual or perennial plants can be planted with good success in summer. Plants that aren't heat tolerant will struggle if planted in the summer. Once the weather begins to cool, fall is a great time to plant many perennials, bulbs, shrubs and trees. In fact, for many of these plants fall is the BEST time to plant. Plant shrubs and trees, they will establish root systems by the time spring rolls around. Plant perennials of all kinds. 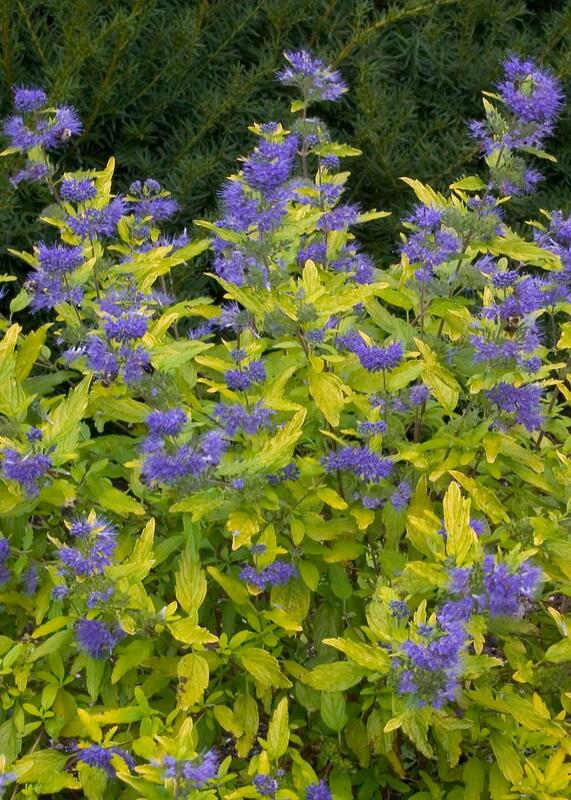 Fall is a GREAT time to dig and divide most perennials, do NOT do so with any that are blooming. Plant cold tolerant annuals - these can bloom for weeks in the fall. Diasica, nemesia, and osteospermum are all good fall planted plants. Plant early so you get maximum enjoyment. 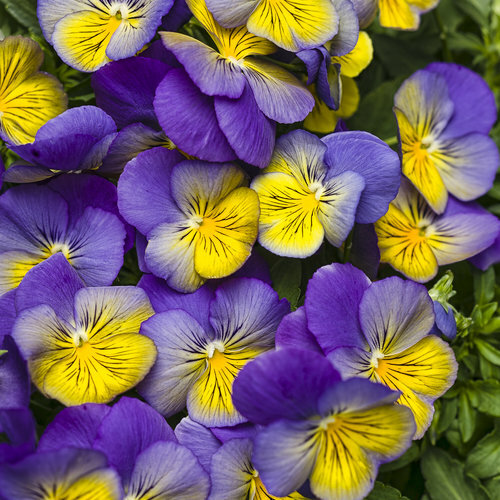 Winter hardy pansies and violas should be planted, you will get a bloom in fall and again in spring. Spring blooming bulbs can be planted. Spring blooming bulbs can be planted any time as long as the ground isn't frozen. Shrubs and trees can be planted, however, earlier in fall is better as it allows for best root establishment before winter. Cold tolerant perennials can be planted, but they will be more winter hardy if planted earlier in fall. Losses are more likely if they are planted late in fall. When you are just starting out, knowing when to plant can be scary and intimidating. Try not to worry too much. Mother Nature is really pretty forgiving. The perfect time to plant isn't just one or two days, prime planting time goes on for weeks. So, relax, enjoy the sunshine and feel the dirt in your hands! Be sure to take a moment to notice the birds and the butterflies sharing your garden with you, after all gardening should feed your soul. Just bought Vintage Jade Distylium at my local store. Since it’s an evergreen, can I plant before last frost or keep them in the garage for another month? Yes, I would wait to plant this outside since you may still have freezing temperatures before the winter is truly over and most likely this plant is not hardened to outdoor conditions yet. IF - you think the plant has been grown and taken care of outdoors then likely it will be fine, otherwise, you can harden it yourself by putting it outdoors when it is not freezing or frosting, and only bring it in when conditions get very cold. After about 2 weeks it should be toughened enough to stand being planted outdoors, remember to keep it well watered while it is adjusting/hardening. If you are lifting the plants and planting them the same day, it should still be fine to do this yet this fall. I would just have you mulch them well after it freezes hard to give them some extra protection from the up and down temperatures we can experience in winter. Mulching in the fall is not to keep plants warm but to keep them frozen if possible to protect them. Thank you for the inquiry, and Happy Fall Gardening! We live near Savannah, Georgia and would like to plant annuals that last through the fall and mild winter we experience here. Any suggestions? Something that’s low maintenance would be great! In your climate, you can safely transplant your hydrangea through the next 2-3 weeks. If you prefer to wait until spring, early spring is a great time to do it as well. I have perennial violas in full bloom now. I would like to move them over by about 2 feet. When is the best time to do that? You would probably want to move them just as they are starting to come up in the spring. Can I plant Oakleaf Hydrangeas in June if I keep them watered? North Alabama location. You would really need to keep it watered while it is getting established, but you should be able to. I just received some bare root perennials like bleeding heart and astilbe and I’m not sure if I can plant them yet. I’m in zone 5. Do I have to wait until the threat of frost is gone? It would be best for the plants to be planted in containers, placed in a sun-room or very well lit area and allowed to grow at 60-65 degrees. If you do not have the space for this, you can probably hold them in a cool area for a few weeks at about 40 degrees until you feel comfortable planting our doors. We would advise, opening the boxes and making sure no molds are growing on the roots. (this is a common happening with bare root plants that have been held for the winter in coolers) If they are perennials they can go out before the danger of frost because they will hopefully come up naturally when the temperatures warm up. Good luck with your plants and have a great spring! If you can still get a shovel in the ground you can still plant perennials. I would steer clear of Hosta though as they would do better if you wait until spring. Get them planted as soon as possible, then in about a month or so, after the ground is frozen a layer of leaf mulch will be helpful in keeping them cold for the winter and keep their roots systems for freezing and thawing with the up and down temperatures that we typically have all winter long. Hope this is helpful, thank you for your inquiry and happy planting! Just bought a bunch of 4" Proven Winners " Scentsation Honeysuckle" Lonicera, and 2-1/2" Sweet Autumn Clematis Vine. I am considering planting them in pots so I can leave them out in the sun during the day, and move them inside when the frost is here. Any thoughts on this please? These plants (and you!) will be so much happier if you just get them in the ground. First frost isn't your planting guideline so much as when the ground freezes, which typically won't happen in zone 5 until late November. So you have plenty of time, just be sure to monitor their water needs up until the ground does freeze. I really like this site! Very informative. I need to move these and wonder if fall is the right time. The sedum is still blooming, so I assume that I need to wait until it has stopped. You can divide your liatris anytime after it is finished blooming, so I'm guessing that is anytime now. The sedum will be lovely for the rest of the season, so we recommend that you do those in the spring when you start to see them emerge from winter. Both should move very well for you! When is the best time to divide my grasses? The best time to divide ornamental grasses is in the spring right as you see them starting to come out of the ground. The best way to do this is to dig up the entire clump, divide it and replant them or give them away, as you wish. When you dig and divide grasses will depend on the grasses you have. This article has details https://www.provenwinners.com/learn/did-you-say-use-chainsaw. Thanks for the article. This answers my questions & sorts it out nicely! My area is technically Zone 5 - we usually are advised to wait until after 05/15 to plant outdoors. Seeing that I can plant my radishes, carrots, and onions 3 weeks prior to 05/15 is very helpful! I've read previous information from various sources advising that these items are "cold weather" crops. Being somewhat new to home gardening I really appreciate all of your helpful advice and suggestions! I've been wondering when is a good time to split & relocate some of my perennials, such as Hostas & daylilies. They are already coming up in northern MN! Is it to early?? Split your hostas and daylilies in the spring just as they are coming up out of the ground. I wait until they have about an inch or two sprout above ground. Clear out the dead growth from last year so you can see what you're splitting. Then replant in another spot and water and mulch well. I am a firt time gardener -- I have some seed sown inside, but didn't know when to plant them outside. I had no prior knowledge of the frost-free date...now I do, April 15 in my area. Should be east to remember (tax day). Thank you. thank you for the tips. As a newbe this was very helpful.